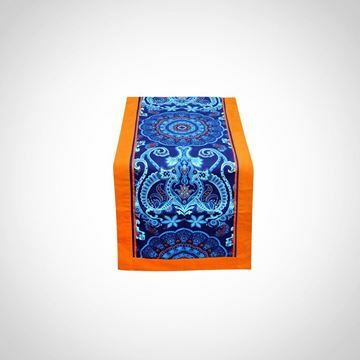 Arabesque runner with khayameya style blue and turquoise. 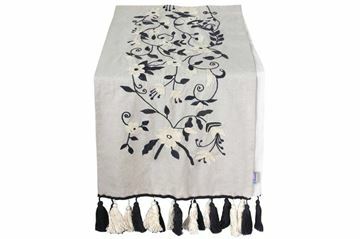 The pompoms add a twist to the design. 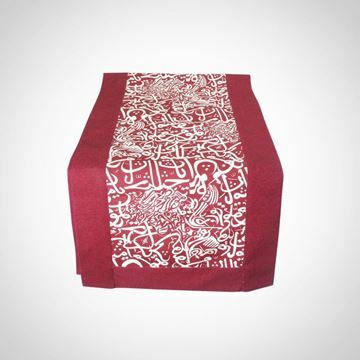 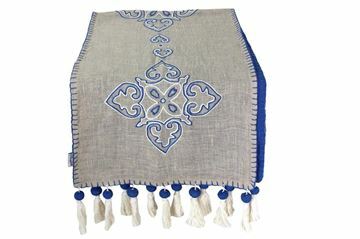 Arabesque table runner with royal blue embroidery..
Blossoming table runner with grey and white embroidery. 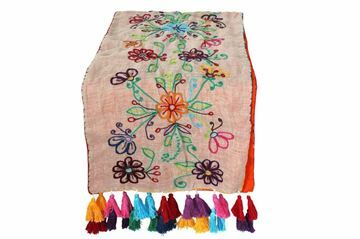 Color explosion blossoming table runner with multi colored tassels..